Enter your email address below to receive a notification when G+Co. 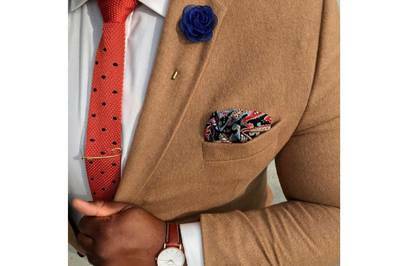 Apparel Debonair Box Club starts accepting new sign-ups! Enter your email address below to receive a notification when G+Co. 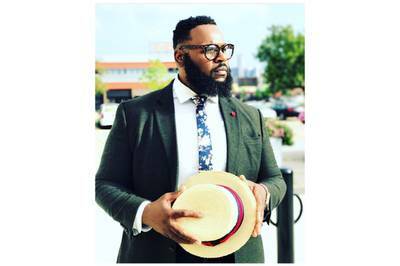 Apparel Debonair Box Club is accepting new sign-ups again. 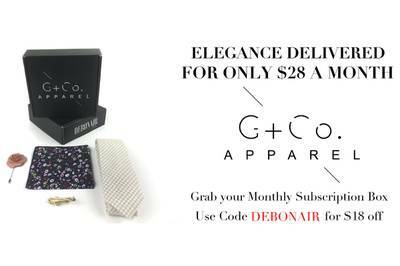 Use code DEBONAIR at checkout to get a special discount for month to month subscribers. We ship by the 5th of every month. 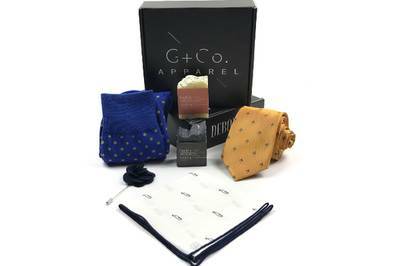 Debonair Box - Great products delivered monthly. G+Co. 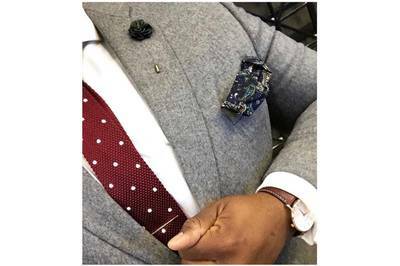 Apparel is the premier men's accessory subscription service. 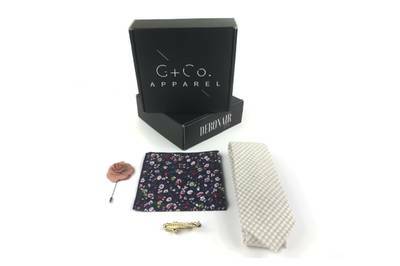 Each monthly box will contain anywhere from 4 to 6 dapper accessories, such as pocket squares, lapel pins, tie bars and more. Each box will be completely coordinated by the members here at G+Co. 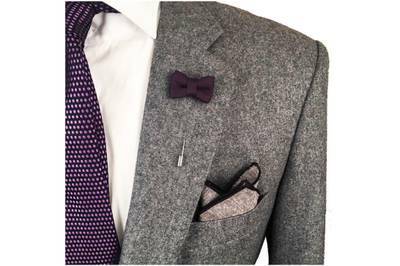 and easy to style, making it simple to dress to impress those around you. High Quality products monthly ! This company was really responsive to my emails as I am a college student and wasn't receiving my boxes due to them being stolen. Not only did they replace the boxes, they made sure they checked in when it was around break time to update my home address so I could get my products. I'm definitely going to be around for a while with them ! Very unimpressed. 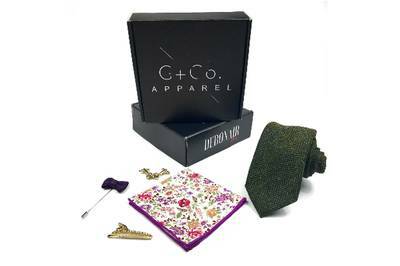 The contents we’re a tie, pocket square, tie clip, and pair of socks. The only notable highlight was the little information page & pocket square “folder”. The tie, cloth, and socks are very cheaply made. Wasn’t a fan of the tacky patterns on the accessories.Overall the materials are cheaply made and not worth the price, in my opinion. Would be willing to give another shot, but not sure if the next one will be better. I have been a subscriber since 2016 and every month I’m thrilled at the products that are featured. The fact that a portion of every sale goes to a scholarship is truly amazing.